Actor Opara Samuel (Sammy) Tobechukwu recently made an appearance as the main character in the music video for “All My Love” set to be released sometime next month where he played the younger version of Guyanese singer/songwriter Courtney Noel. Sammy has acting in Guyana for quite some years now. However, acting is not something he just recently took up; he has been acting since he was just six years old. 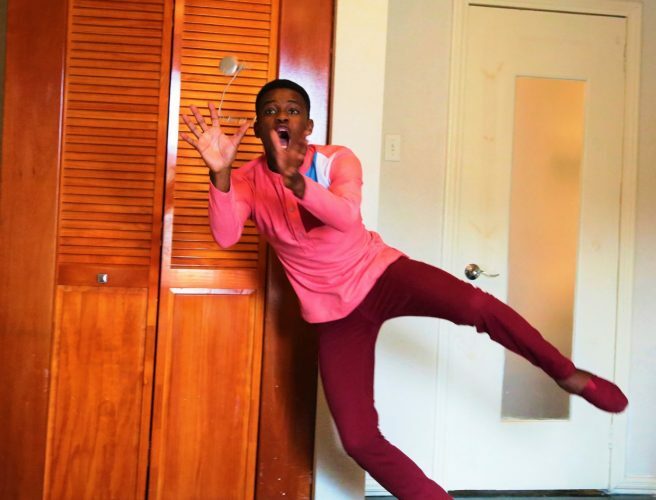 Sammy was born and raised in Abia State, Nigeria and grew up with five siblings. Opara, he said, is his family name, while his African name is Tobechukwu, which was given to him at birth and means ‘Keep on praising God’. The name Samuel was given to him when he was baptized as a baby. He explained that while in most countries the surname appears last, where he is from, it comes first. He speaks Igbo, the dialect of his tribe but can also speak English fluently as it is the official language of his country and all Nigerians are required to learn it in school. Opara lounges for a valuable time piece during another video shoot. 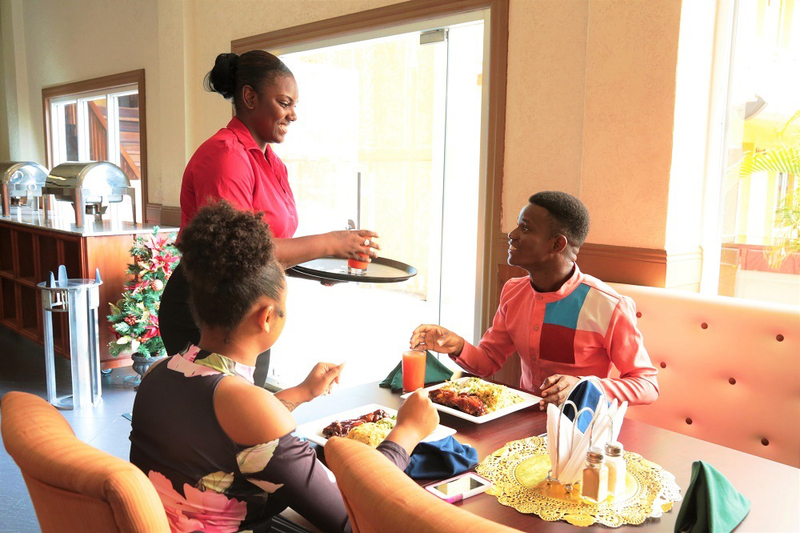 Opara playing the husband who flirts with the waitress during a video scene at Hotel Tower. 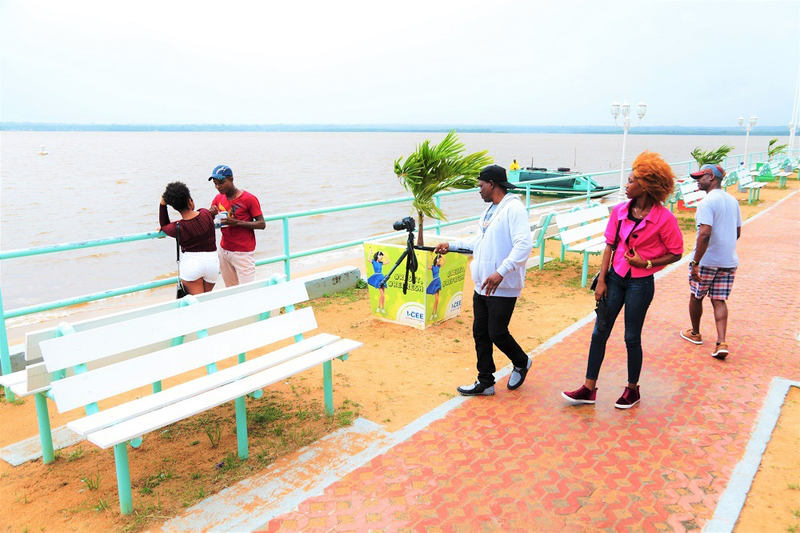 The ‘All My Love’ project crew looks on during one of the takes at the Boardwalk in Bartica. Speaking of the first time he acted, Sammy said, “… Someone had a birthday in the compound where I lived, and they needed persons to act drama and I volunteered along with a few other children. We acted out a comedy. It was so nice to make people laugh and seeing them cheering. I played the Oga [the chief of the house]. 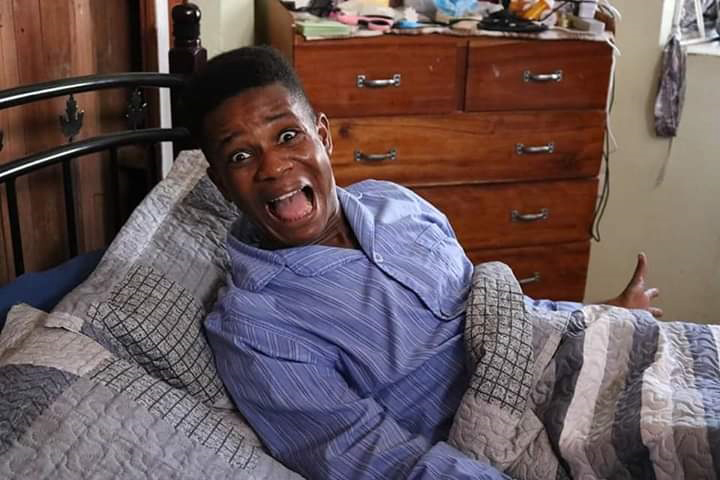 From then on, I started receiving calls to act for people whenever they had birthdays, weddings and other programmes.” The self-taught actor has acted in more than 100 plays in both Nigeria and Guyana. 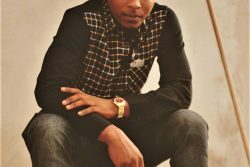 While in Nigeria, the actor also took up singing and playing of the bass guitar. At his senior secondary school, the Federal Government College, there was devotion every morning at assembly and the school band took charge of this. It was the band that led to Sammy taking up singing and playing the guitar. He shared that he grew to love singing, hearing his own mother singing around the house while she did the household chores. On his arrival in Guyana, Sammy said, there was an incident at Immigration. Although he laughs about it now, he realizes how much the misunderstanding could have cost him. According Sammy, while been interviewed by one of the immigration officers he was asked whether he uses coke (cocaine) and responded yes, not realizing what he was saying yes to. The next question was how often he used the drug, and he said quite often, sometimes after his meals. In fact, Sammy went on to say that he drank it like water, and he liked his coke adding that if Guyana didn’t have any, he would want to have some imported. At that, the immigration officer quickly summoned two security officers to stand beside him. After learning that his sister was awaiting his arrival, they requested her presence and related what he had said to her. In shock at what she was hearing, she asked him in a whisper whether he had any cocaine on him or used it. He quickly said no and that he would never. He then explained to the officials that he thought they were talking about Coca Cola. This, he said, led to an uproar as persons found it funny after all was explained. Recalling this experience Sammy said he pays much attention now when he speaks with Guyanese and whenever he does not fully understand something, he sees to it that persons explain themselves. After arriving here Sammy began attending the Revival Word Christian Centre in Kitty where he took part in whatever dramatization the church did. The group was not functioning at its best at the time, so Sammy took charge of it and saw to it that more was done when it came to drama. He was eventually introduced to actors at the Theatre Guild who quickly included him. Sammy landed his biggest break here when he acted in the play For Better or For Worse (written by Ras Leon Saul and directed and produced by Max Massiah) where he played the role of a father. 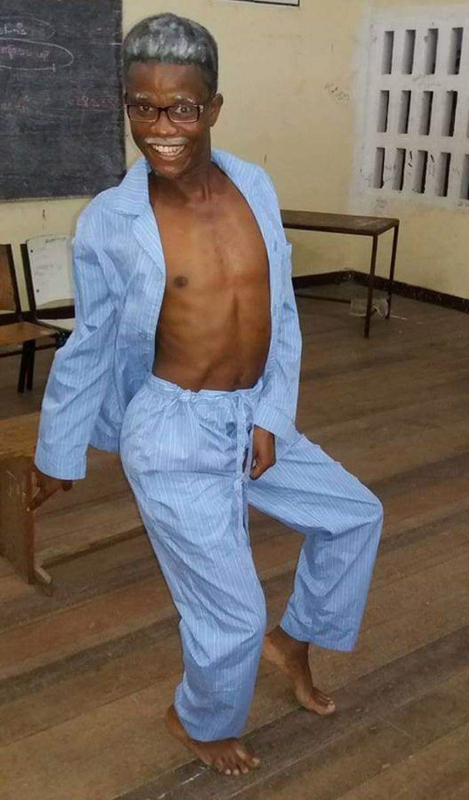 In fact, according to him, many persons in the audience were shocked when they realized that it was just a young man who played the role as they were at first certain it was an elderly man; they commended him on a job well done. Sammy acted alongside some of Guyana’s best, including Sonia Yarde, Mark Luke Edwards and Mark Kazim. “I was really excited when I got a call to play a part in the play. At first Max wasn’t sure if I could act but then I [auditioned] and he liked what he saw, and I got the part. This particular play was my funniest,” the young actor said. While acting has its cons mainly in the financial aspect where actors are not paid their worth or in some cases not paid at all or may have to wait lengthy periods before they are paid, Sammy noted that it has wonderful benefits such as meeting new and fun people, getting to make people laugh and travelling to places. He has acted at the National Cultural Centre, Theatre Guild, D’Urban Park, Joshua House, at various churches and other places around Georgetown. 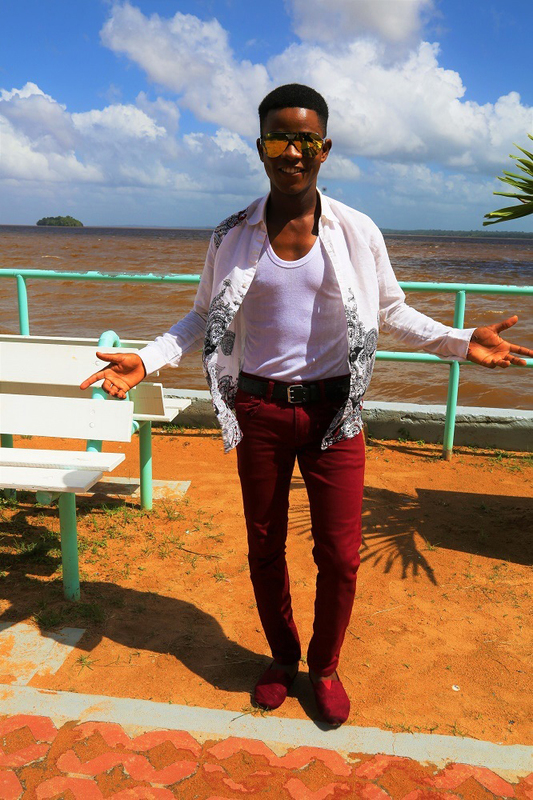 The “All My Love” music video saw him travelling to Bartica where he visited a few of the sights including the West Indian Park and the boardwalk. In the week that followed Sammy found himself in Linden where they shot scenes at Hymara Park, the Blue Water Lake and at the locomotive landmark site in Watooka. He also had the opportunity to meet Mayor of Linden Waneka Arrindell. His recent travels, he said, made him discover other beautiful places in Guyana as before he had never been outside of Georgetown. Sammy repertoire in Guyana includes “Jus Fu Kicks” (on MTV); “Christmas Troubles in the Caribbean”, which was directed by him and can be found on YouTube; “The Helpline,” “Legends of Victoria Secret” among others. 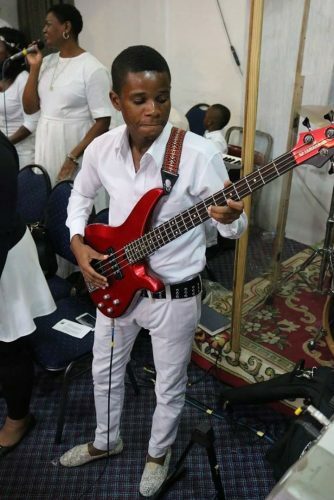 He has also performed and played the bass guitar at numerous church events as well as a few concerts. He recalled that when he first began learning to play the guitar, he had to deal with his fingers becoming callused and bleeding, but he did not let that deter him one bit. 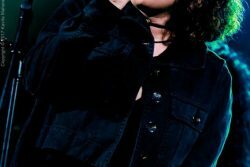 He is also a songwriter and so far, has written five singles which he hopes to begin releasing before the end of the year. Currently he has a cover of “Kumbaya” on YouTube. The song was recorded at Paradigm Studio. He has always admired Michael Jackson, especially his quality for remaining humble although he had made it big. He also likes Kirk Franklin and Donnie McClurkin. Asked if he could meet anyone living or dead who it would be, Sammy said he would have to go for someone who made an impact on his life. This someone was called Onyeabo, he was a friend who took an interest in Sammy’s well-being. He was a policeman and lost his life tragically when he went to make an arrest and walked into an ambush. When not acting and singing, Sammy likes hanging out with friends and playing with little babies and children; he noted that children are always pure and truthful about their feelings, yet they never bear a grudge. Adults, he noted, are sometimes full of deceit and pretence, two traits that are his peeves. Currently Sammy is in the midst of becoming one of the actors in “Spur”, a local television series expected to be released soon. 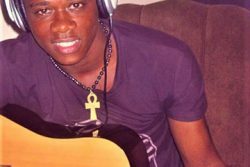 Just this week, he performed as a backup singer for gospel artiste Hayden Billingy out of St Vincent and the Grenadines during a recording at HJ Records. He encourages actors and persons in the entertainment industry to aspire to be great and understand that no man is an island. Therefore, they should know that team work plays a significant role in reaching new heights. He admonished persons to always have a good attitude and remain humble adding that no matter how great your talent is, if you are not humble it makes achieving anything in life much more difficult. Sammy has his sights set on making in big in Hollywood one day. Persons can follow him on Facebook/Opara Samuel.